OCEAN VIEW!!! Located near the acclaimed San Elijo Lagoon and State Beach. Discover this serene beachside community home with 3 beds/2.5 baths with over $75,000 in recent upgrades. These include Bellawood white ash solid wood flooring throughout, KitchenAid appliances, and designer paint colors to match that beach home feel you've been dreaming of. A spacious master bedroom opens to a private patio with peaceful views of the nature preserve with incredible ocean breezes and captivating ocean view sunsets!, Seaside is located within extremely close proximity to the incredible walking trails of San Elijo Lagoon and 1 just mile from San Elijo State Beach. Living in Cardiff yields a lifestyle that encourages living outdoors and amongst nature. This home is literally backed up to the San Elijo preserve, which offers the silence and tranquility you'll only find in a resort spa while getting a massage. With birds chirping and light breezes on the daily, your morning coffee or evening wine never felt soo relaxed. 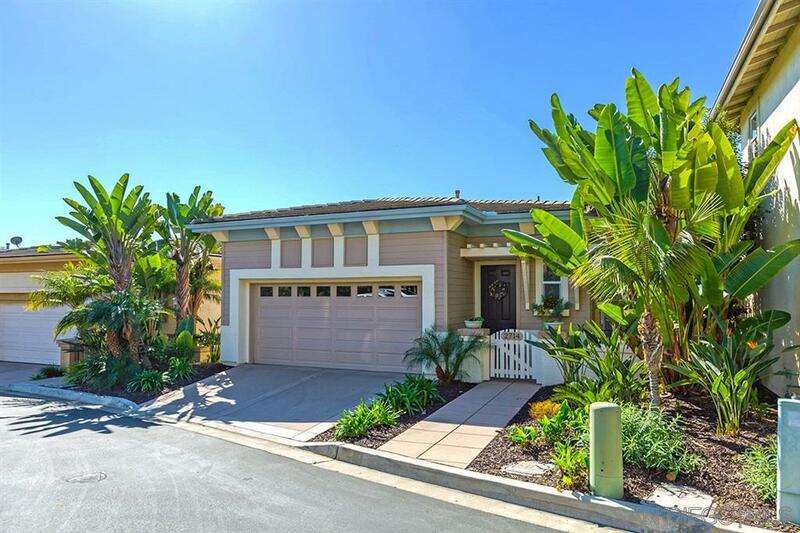 Come experience for yourself why Cardiff is still the best kept secret amongst San Diego coastal communities and at such an incredible value you won't find in neighboring communities such as Solana Beach and Encinitas. You can't deny the incredible features this home offers with wood and tile floors throughout, recently painted interior and exterior, kitchen aid appliances, tall ceilings, crown molding, and much much more. Living in Seaide affords close proximity to everything you'll ever need or want without all the hustle and bustle a typical beach community. You'll look forward to calling this home for many years to come. Courtesy of Red Rhino Realty, Inc.